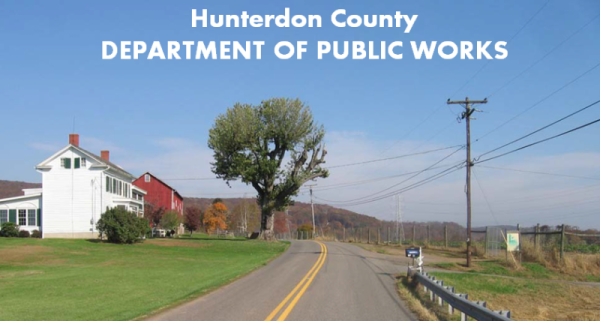 The Hunterdon County Department of Public Works, including the Divisions of Roads, Bridges and Engineering provides engineering direction, technical support and guidance for the County's roads and bridges, is charged with the maintenance and repair for County roads, bridges, culverts, storm sewers, and the county's vehicular fleet and other equipment. Work Anticipated in 2020: The project will be completed during the 2020 construction season, expected to start March 2020, traffic control will be single lane with alternating traffic during the day. 2018 – Minor work at the bottom of the hill, traffic control will be single lane with alternating traffic during the day, when needed. Most of the work in 2018 is clearing in the area of the detention basin, so the delays are expected to be minimal. Public Hearing - December 5, 2018 6pm: Proposed County Bridge R-24 and Approach of Mill Road over the Rockaway Creek in the Township of Readington, County of Hunterdon. Public Hearing - July 25, 2017 6pm - Tewksbury Township in connection with Green Acres Program and Replacement of Hunterdon County Bridge RT-16 (Route 523 over the North Branch of Rockaway Creek). Public Hearing May 4, 2016 -Preliminary and Final Design of Improvements to CR513 / Interstate 78 Interchange (Interchange 15) Franklin Township, Union Township, Town of Clinton and Clinton Township. Public Hearing March 31, 2015 - Application for approval to to dispose of .35 acres of the Musconetcong Gorge Nature Preserve in connection with the construction of shoulder widening, realignment and other safety improvements along County Route 519.